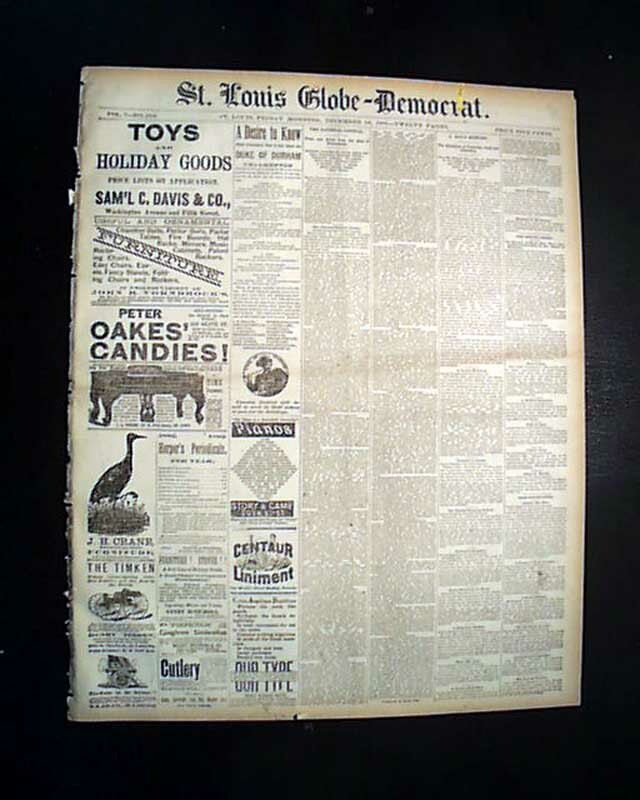 Page 7 contains a nice report concerning the now iconic "gunfight at the O.K. Corral", from just a day after the conclusion of the trial of the Earps ended in their acquittal. 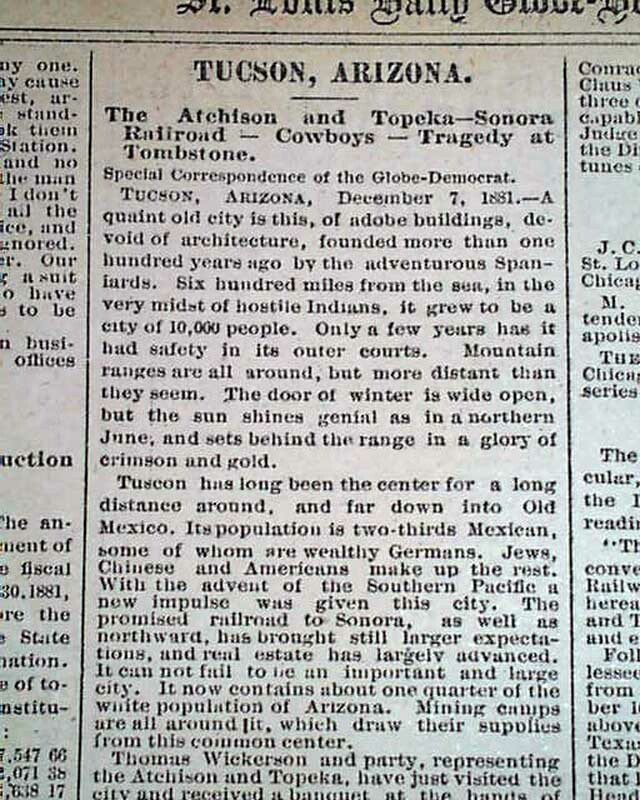 The article headed: "The Atchison & Topeka-Sonora railroad--Cowboys--Tragedy at Tombstone" begins with a very nice description of the city of Tucson. 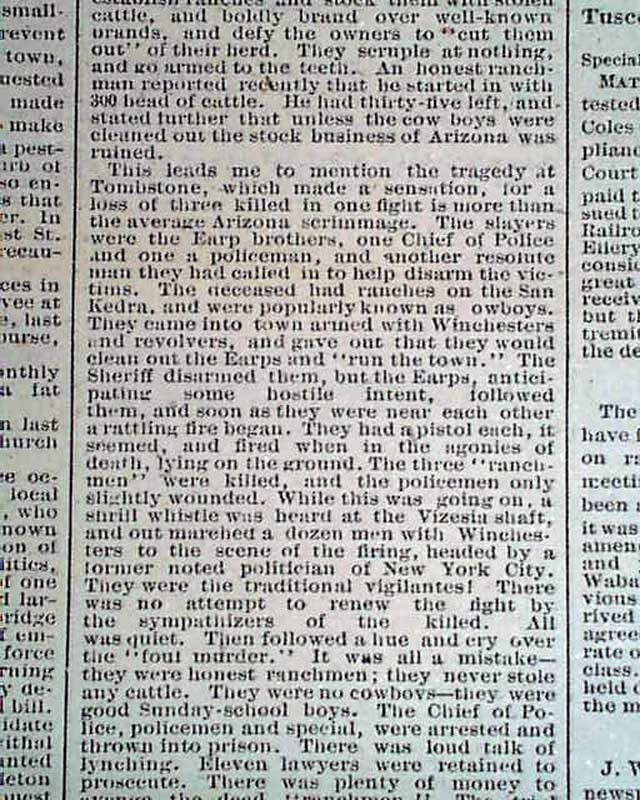 It then transitions to the famous Tombstone event, including in part: "This leads me to mention the tragedy at Tombstone, which made a sensation for a loss of 3 killed in one fight is more than the average Arizona scrimmage. The slayers were the Earp brothers, one Chief of Police and one a policeman...The deceased...were popularly known as cowboys. They came into town armed with Winchesters & revolvers & gave out that they would clean out the Earps & 'run the town. '...the Earps, anticipating some hostile intent, followed them & soon as they were near each other a rattling fire began. they had a pistol each, it seemed, and fired when in the agonies of death, lying on the ground...out marched a dozen men with Winchesters to the scene of the firing...They were the traditional vigilantes!...They were no cowboys--they were good Sunday-school boys. The Chief of Police, policemen & special, were arrested & thrown into prison. 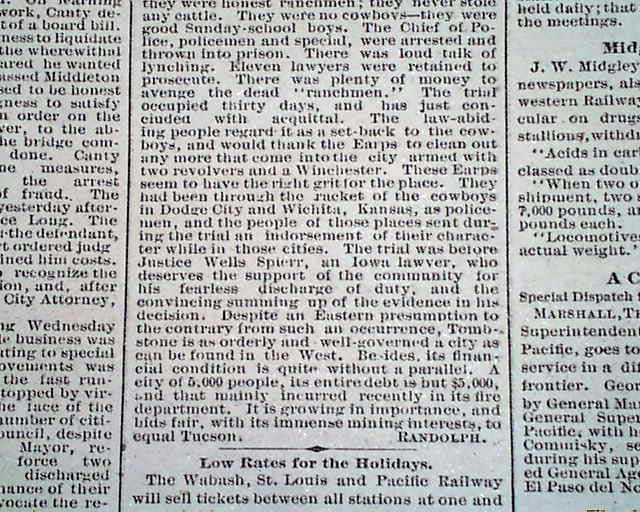 There was loud talk of lynching...The trial occupied 30 days & has just concluded with acquittal...would thank the Earps to clean out any more that come into the city armed with 2 revolvers & a Winchester. these Earps seem to have the right grit for the place. 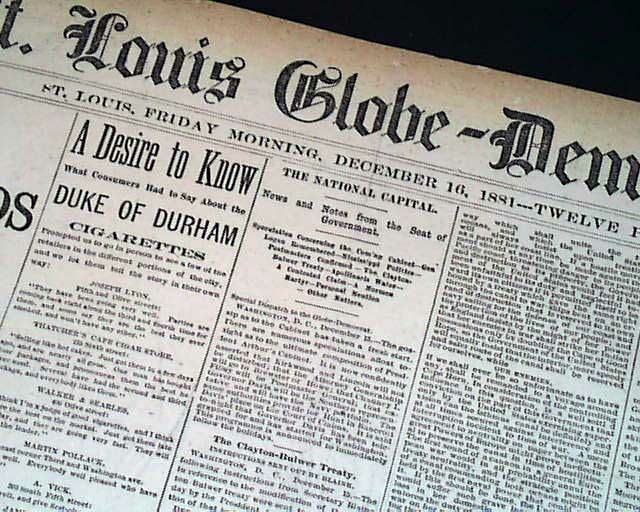 they had been through the racket of the cowboys in Dodge City and Wichita, Kansas..." with more (see). Twelve pages, minor margin wear, slightly pulpish but generally in nice condition.